Try our best protection, plus PC backup and family safety tools. For free. Manage all of your family’s security needs with any combination of up to 10 Macs, PCs, and iOS and Android mobile devices. Whether you’re shopping online, posting photos or sending emails, we’ve got your digital life covered in one software solution. 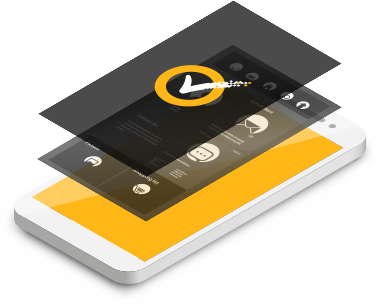 We help keep your tablets and smartphones protected against loss and privacy breaches, while securing your Macs and PCs against viruses, hacking, data loss, identity theft and Internet scams. We’ll also warn you of phishing attempts, dangerous websites and unsafe apps. All your passwords and online transactions are protected, while your personal documents, emails and photos are kept safe and secure. 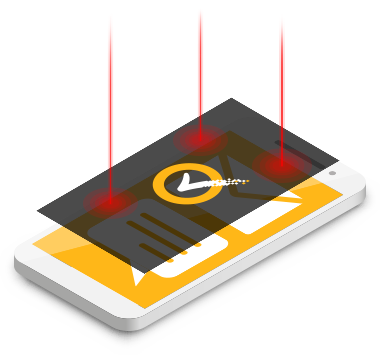 Prevent unauthorized access to your tablets and smartphones by remotely locating, locking and erasing stolen or lost mobile devices. Parental controls let you manage your kids’ time on the Internet, help them to stay protected while exploring the Web and teach them safe online behavior. Accidents happen. Devices go missing. We protect against data loss by automatically backing up and encrypting up to 25 GB of files and photos from your PC to secure cloud storage. It’s easy to add or move protection to cover your ever-changing family of digital devices. If you get a new tablet, smartphone, Windows PC or Mac, you can easily protect that too. We’re making you a Virus Protection Promise*: We’re so sure we’re able to detect Internet threats and shield you from them that from the moment you subscribe, a Norton expert will help keep your devices virus-free or give you a full refund. 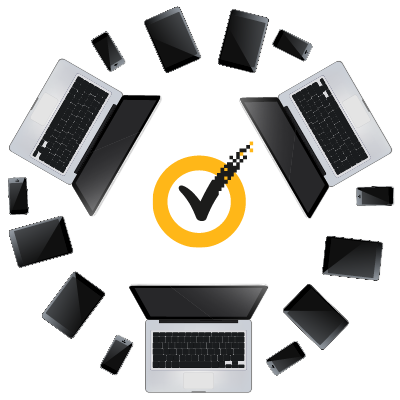 Norton Security with Backup covers PCs, Macs, Androids, iPads® and iPhones®. Some features are not available on iPad and iPhone. *The Virus Protection Promise requires a paid subscription and does not apply to the free trial period. 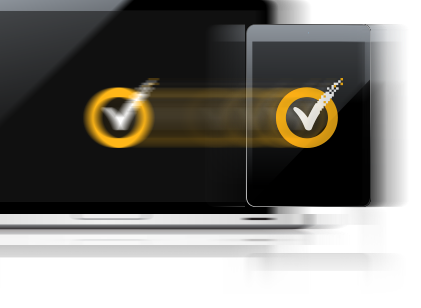 To be eligible for the Virus Protection Promise, you must purchase, renew or upgrade your Norton subscription directly from Symantec, or subscribe to the Norton Automatic Renewal Service. 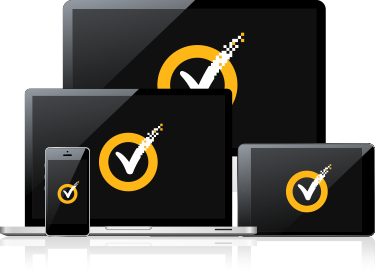 If a Symantec service representative is unable to remove a virus from your device, then you may receive a full refund on the actual price paid for the Norton subscription, or if a Norton bundle, the total Norton bundle price paid (net of any discounts or refunds received and less any shipping, handling and applicable taxes, except in certain states and countries where shipping, handling and taxes are refundable) and only for the current paid subscription service period for that subscription or subscription bundle. The Norton subscription must be installed and activated on your device prior to the time it is infected by a virus. The refund does not apply to any damages incurred as a result of viruses. See Norton.com/guarantee for detail. Auto scan of apps on Google Play supported on Android 4.0 or later except for Samsung devices. Samsung devices running Android 4.2 or later are supported. For earlier versions of Android, the Google Play "Share" function must be used to scan apps on Google Play. 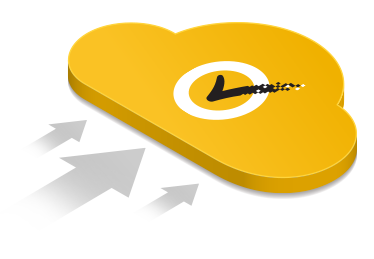 © 2016 Symantec Corporation. All rights reserved. Symantec, the Symantec Logo, the Checkmark Logo, Norton, and Norton by Symantec, are trademarks or registered trademarks of Symantec Corporation or its affiliates in the U.S. and other countries. Microsoft and the Windows logo are trademarks of Microsoft Corporation in the United States and/or other countries. Google Chrome is a trademark of Google, Inc. Firefox is a trademark of Mozilla Foundation. Mac, iPhone and iPad are trademarks of Apple Inc. Other names may be trademarks of their respective owners.